Hello, friends! Thanks for stopping by today! Hope everyone is having a lovely week! Remember the succulent planter I made a few weeks ago for a friend? 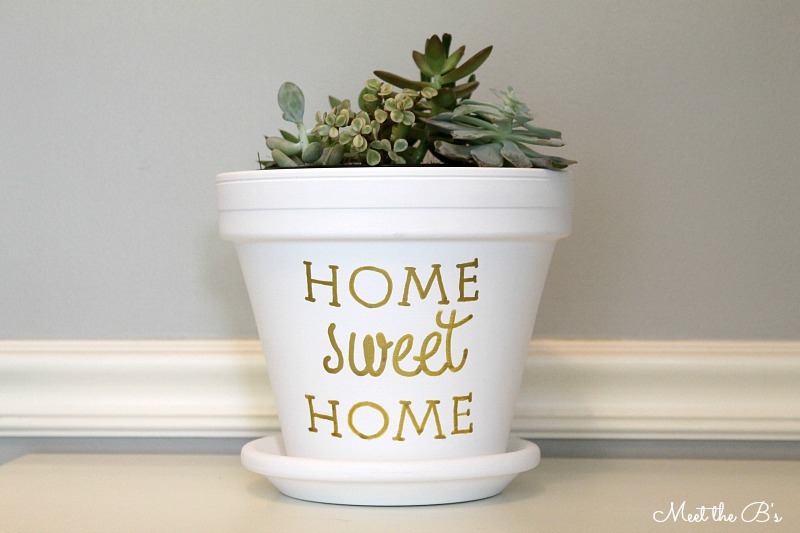 I confessed my succulent obsession to you then, and today, I'm so excited to share even more ideas for DIY succulent planters with you on a board that I've curated for Hometalk!! I was so thrilled when Hometalk asked if I would curate this board for them! If you've never heard of Hometalk, you should definitely check it out! It's full of great DIY ideas that you can "clip" to your clipboards. You can also post questions if you have a DIY that you're just not sure how to accomplish and need some advice. You can even find recommendations for professionals in your area to come do some of the bigger projects for you! It's definitely an awesome site with lots of great resources!! 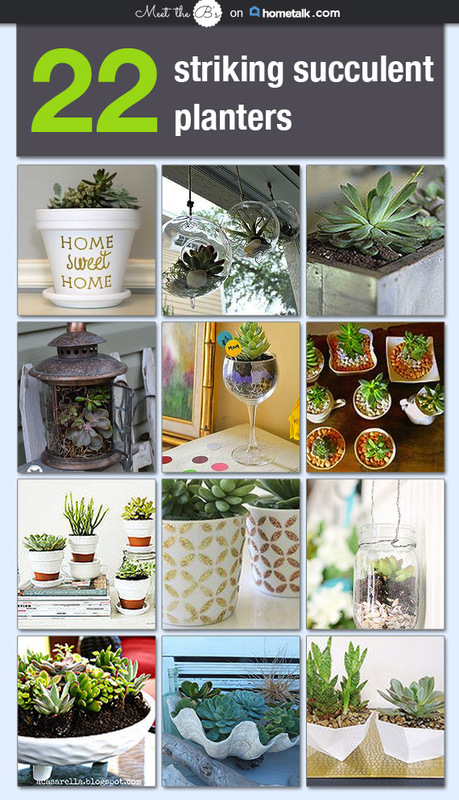 Visit me over on Hometalk to see 22 super cute succulent planters that you can easily make yourself!! Yay! I love succulents and I love this round up. Pinned! Thanks, Bre!!! I looooove succulents! I'm working on growing some from cuttings right now!